There are plenty of articles that describe the tactics people use to get out of debt. They cut up their credit cards, or stick their plastic cards into a jar of peanut butter. They stop buying coffees at Starbucks and apply the extra money to paying down their Visa. They trade their car in for an older or more fuel-efficient model, or bring a renter into their spare bedroom. But there are a few mental and emotional issues that people should address, as well, if they want to conquer their debt. Admit that you have a spending problem. Admit that you went over your head. Don’t make excuses. Yes, times were tough. Yes, money was tight. But there were things you could have done differently. As long as you make excuses, you give yourself silent permission to continue repeating the same bad financial habits. You risk falling into the same spending traps that led you into debt in the first place. The first step to repaying your debt is to come clean with yourself, stop making excuses, stop pointing your finger at external factors beyond your control, and focus on how you can change your life. Too few people understand the line between necessities and luxuries. Bread and milk are necessities. Oreo cookies and ice cream – although technically a “grocery,” in the sense that you buy it at a grocery store – are luxuries. Keeping the air conditioner at 78 or 80 degrees during the summer is a necessity; cranking the air-conditioner down to 68 or 70 degrees is a luxury. The 50/30/20 budgeting rule of thumb, popularized by Harvard economist Elizabeth Warren, says people should budget 50 percent of their income toward needs, 30 percent toward wants and 20 percent on savings and debt reduction. If you’re serious about stomping out your debt, you may want to take this one step further: devote 40 percent of your income towards savings and debt reduction, and only 10 percent toward wants. Accept that this will require serious sacrifices: cable television, trips to the zoo, restaurant meals and new clothes may all need to get cut from the family budget. There are two popular tactics that people use to crush their debt. One is called the "debt snowball." Under this strategy, a person should save $1,000 in an emergency fund, and then apply every spare dime to the debt with the smallest balance, regardless of its interest rate. They should pay that debt until it’s closed (while making minimum payments on the other debts, of course). Once that debt is crossed off the list, they should apply all the money they were using to the next-smallest debt on their list, and so forth. Each vanquished debt creates a “snowball” effect of increasing the momentum on the next one. Plus, each conquered debt creates a psychological victory that motivates the person to attack the next one. The other tactic is called “debt stacking.” This strategy says a person should throw every spare cent at the debt with the highest interest rate, regardless of the total balance. Once it’s crossed off the list, the person should apply that money towards the next-highest rate, and so forth. This strategy saves the most money in interest payments over the life of all the loans, although – depending on the size of the balance -- it may take longer for a psychological victory of crossing off a debt. There’s great debate over which strategy is better. My opinion is that personal finance is personal; the best tactic is the one that suits your personality the best. That said, here’s my advice: pick one tactic -- debt snowball or debt stacking -- and stick with it. 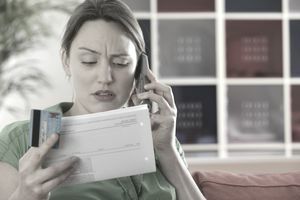 Don’t switch back-and-forth between different debt-repayment tactics. Adhere to the method that you’ve chosen for several weeks or months. Switch only as a last resort, if you truly believe that this tactic just doesn’t suit you. Anytime you reach a psychological win – whether that’s one debt crossed off your list, or two weeks of adherence to your repayment plan, or whatever other symbolic victory you experience – celebrate it. Rejoice in it. But here’s the kicker: don’t celebrate it by spending money. That’s like celebrating a 5-pound weight loss with a double-cheeseburger. Instead, learn free ways to celebrate. Throw a Frisbee in the park. Take a long bubble bath. Re-read your favorite childhood book. Go on a long walk in the forest with your dog. Celebrate without opening your wallet.